This is a bit of edible Aussie art. A Goanna is an Australian lizard otherwise known as a Lace Monitor and here is our version ready for eating. If you cannot find crumpets, you could also use English Muffins. 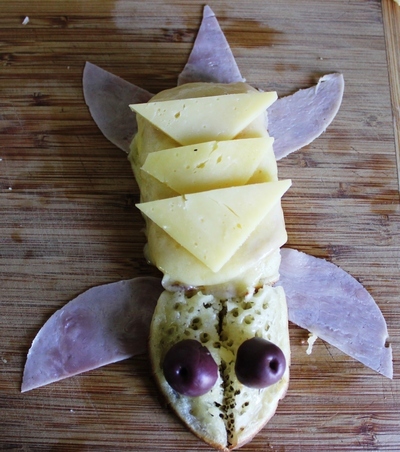 This Goanna is easy to make and is sure to bring a smile to the lunch or snack table. Toast the crumpet and butter it. Spread on some Vegemite if you wish. 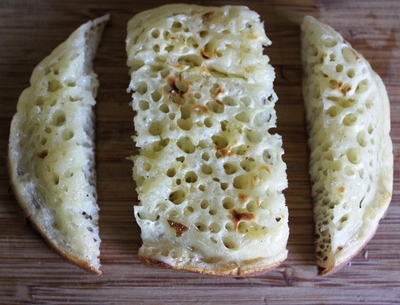 Cut the crumpet into three sections lengthwise, leaving the middle as a neat rectangle. Arrange the curved pieces of crumpet together to form the Goanna's "head". Place the rectangle shaped crumpet behind to form the Goanna's "body". 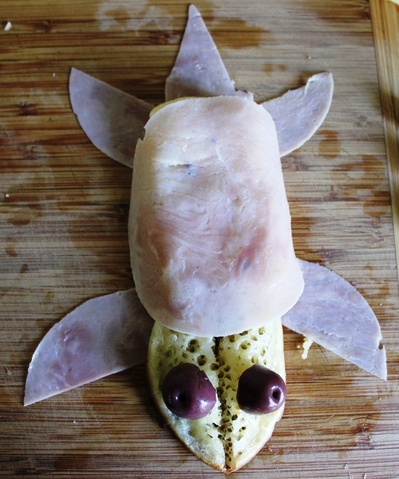 Lay the slices of ham on top of the crumpet and cut some curved pieces to form the Goanna's "legs". Cut the olive in half and lay the pieces on the head to form the Goanna's "eyes". 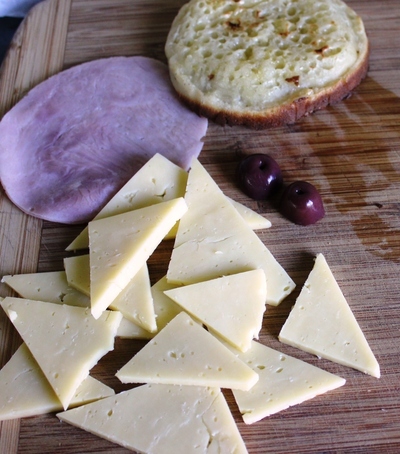 Cut the cheese slices into triangles and lay these on top of the ham on the body to form the Goanna's pattern on it's back. Place your creation under the grill for a few minutes to melt the cheese. Eat and enjoy this crazy Aussie lizard.